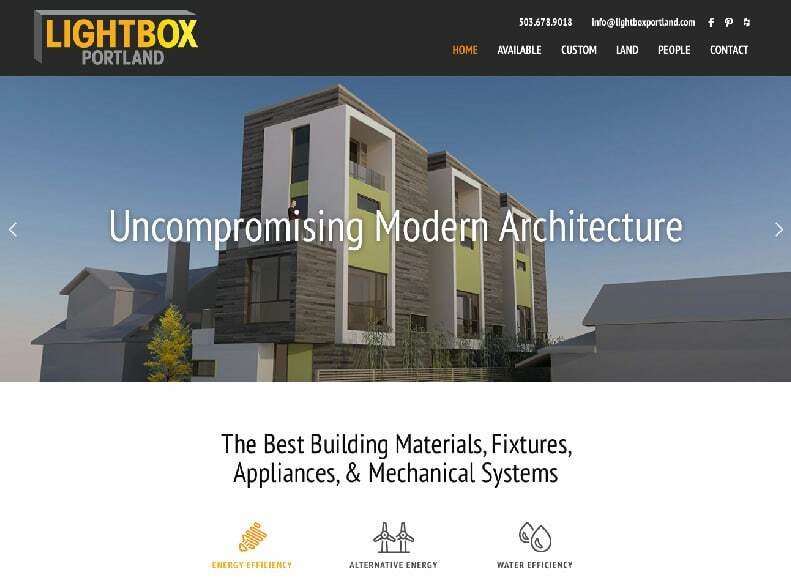 Lightbox Portland offers outstanding modern architecture with the best components and eco-friendly practices. 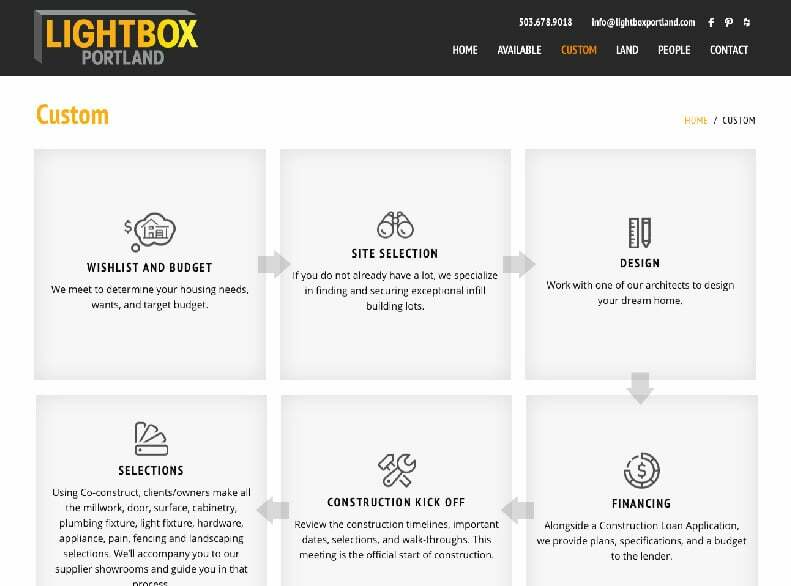 With several projects in construction, owners Chris Dawkins and Brian Schmidt commissioned a logo and website by Bourke Design to market their business. 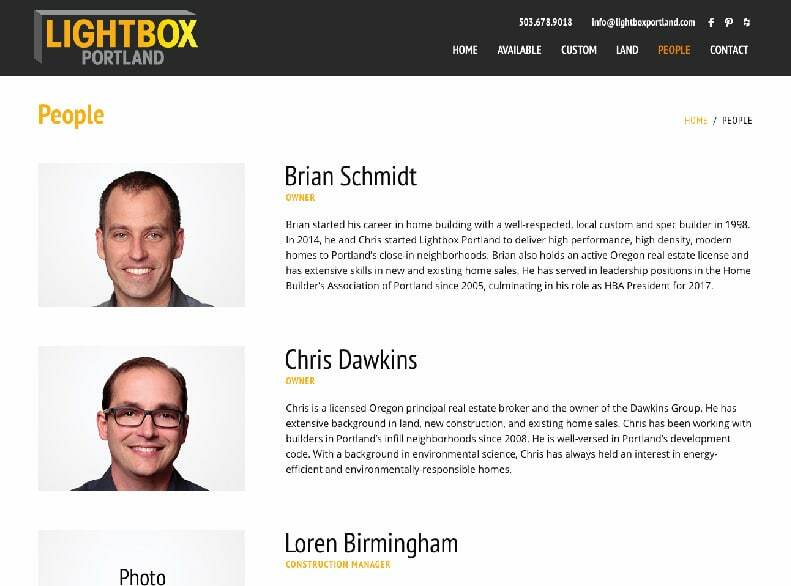 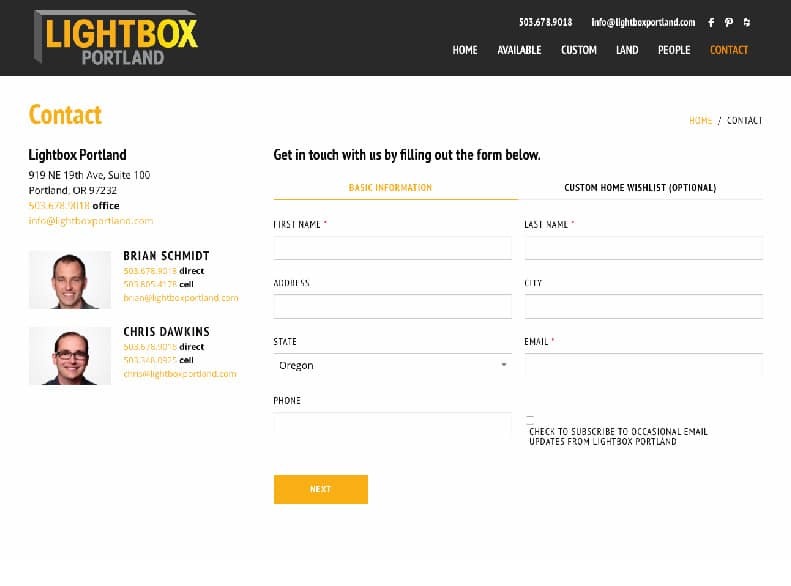 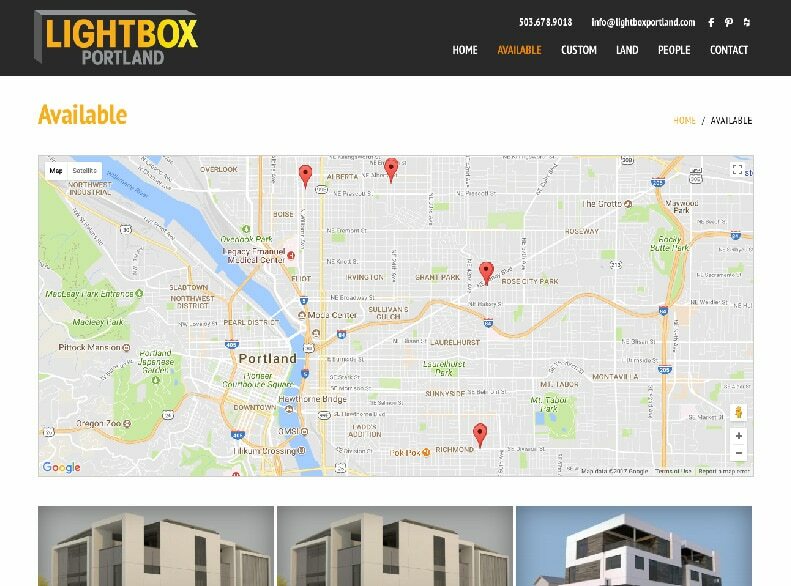 The new lightboxportland.com pinpoints their existing homes on a custom Google Map, offers a flow chart of the custom building process, and features a 2-page contact form with a custom home wishlist.